If you’re looking for a simple yet aesthetically pleasing way to light up your home, consider the possibilities of wall sconces . Wall sconces are freestanding light fixtures that come in a wide array of sizes and styles. They are extremely popular in homes thanks to their versatility and ease of use. A wall sconce can be used to freshen the appearance of any room, particularly if you have art on your walls that you would like to effectively illuminate. If you’re not happy with the existing level of light in a room, a wall sconce can provide you with a new light source at minimal expense. The light that a wall sconce provides can enhance the mood and ambience of a bathroom, a hallway, a vestibule, or even a den. If you’re thinking of adding a wall sconce to your home in San Jose, be sure to peruse your options so that you can be assured of finding one that is just right for the room you want to use it in. For genuine class, it’s hard to top the effect created by a candle chandelier. While you will need to keep the candles lit in order to illuminate the room—and remember to extinguish them when you leave—this type of chandelier can have a stunning visual impact if you place it in the right room. 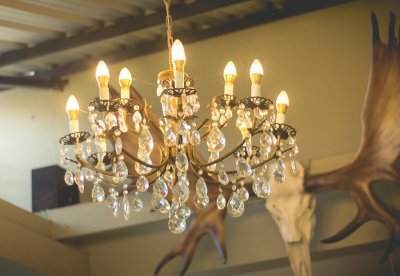 These finely made chandeliers will catch and reflect light like nothing else in your home, and they’re sure to make a lasting impression on your guests. If you are looking for a centerpiece to make your dining room truly stand out, you may want to think about buying a crystal chandelier. 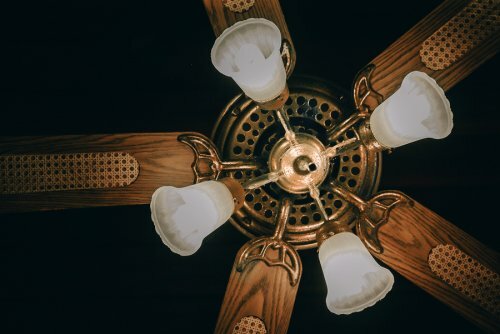 Chandeliers with shades enable you to better control the amount of light coming from the bulbs, which makes them more versatile and easier to use in different settings. These chandeliers are even suitable for bedrooms, where they can cast a subtler and softer light. 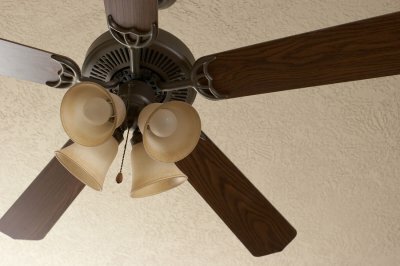 If you want something a little different for your home, you might look at a shaded chandelier. While many people think of chandeliers as being grand and ornate, there are plenty of compact chandeliers that are suitable for use in hallways, bedrooms, closets, and other places where larger pieces would not fit. Mini-chandeliers are available in a wide range of materials, so you’re sure to find a piece that suits your tastes. LED lighting offers a low-energy option that allows you to save electricity without compromising your ability to light your space. How does LED make this happen? If you’re considering installing LED lighting in San Jose , watch this video to find out how these bulbs work. LED lights are made up of two halves, with one side containing positive charges and the other containing negative charges. The area in between the charges, known as the pn-junction, controls the directional flow of electricity, forming the foundation by which LED bulbs operate. In the video, you will discover what happens when these charges change form and create photons, which go on to create light that is visible to the human eye. Lighting is an important but often overlooked part of design. Changing your lighting can change the appearance of your home both indoors and out while giving you the opportunity to embrace eco-friendly lights for your San Jose home . 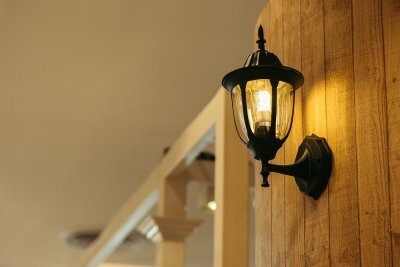 If you want to upgrade your home’s aesthetic appeal, consider these popular lighting options as your starting point. A chandelier is a show-stopping focal point for any room that never goes out of style. Although they are traditionally found in entryways and dining rooms, chandeliers are increasingly found throughout the house, including in bedrooms, bathrooms, and kitchens. The light they create is a softer glow, ideal for any room where you want to create a comfortable, relaxed space. If ornate chandeliers are not your style, many sleek and modern designs are now available that can easily blend into any décor. Outdoor lighting has become increasingly popular for homeowners. Some outdoor lighting is designed to be functional, such as lighting around an outdoor kitchen or patio area. 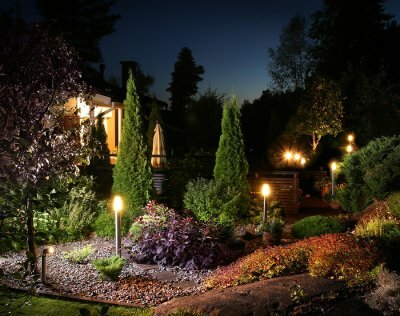 Landscape lighting, on the other hand, is about the aesthetics of your outdoor area. By placing lighting in a way that highlights focal points of your landscaping, such as flowerbeds, walkways, or trees, you can emphasize the overall design of your yard and showcase your special pieces. Landscape lighting dramatically increases the curb appeal of the front of your house and makes your outdoor space more livable. Monorail lights are similar to track lighting, but the base of the lighting can be twisted into any desired configuration, giving you more design options. This kind of lighting can be used to highlight certain parts of your décor or to concentrate lighting on a specific area for functional purposes. Monorail lights come with a variety of options for fixtures and pendants, so you can get a look that matches your style. There are inventions that make life more convenient, and there are inventions that truly change the world. LED lighting in San Jose is a much more efficient and sustainable lighting method, and it can be life-changing for people who aren’t connected to the electric grid. Watch this video on how 3 scientists began changing the world with LED lights. LED stands for light emitting diode, and this type of lighting seeks to replace incandescent and fluorescent bulbs by the year 2050. Green and red LEDs were discovered first, and once their blue counterpart was developed, we could combine the 3 of them for practical, white lighting. For people in third world countries who don’t have access to the electric grid, the efficiency that LEDs offer is crucial. Even without access to the grid, people could use LEDs to light their homes rather than burn wood or gas. LED lighting continues to evolve and incorporate the latest advances in lighting technology. When you watch this video from the American Lighting Association, you will hear the latest news about LED lights. Today’s LED lights are more affordable and efficient than ever before. Your new LED lighting in San Jose may offer dimmer functions, bright colors, and other new features. These amazing bulbs use up to 75 percent less energy than conventional lights. To explore the latest features that LED lights have to offer your home, get in touch with a lighting contractor that serves your local area. When you make the switch over to LED lighting, you will enjoy improved illumination, affordability, and energy efficiency for your home’s lighting installation. When you are shopping for new LED lighting for your home , you may encounter many different types of recessed lighting. The term recessed lighting refers to any type of light fixtures that sits flush against the ceiling or wall. Since recessed lighting has a nearly invisible profile, it can be used in a variety of different spaces. Your LED lighting specialists in San Jose will be happy to provide you with a tour of the various styles of recessed lighting that can be used in your space. Recessed LED lighting has many benefits to offer for your home or business. When you install a row of recessed lights in an interior space, you will create an ambient lighting design that bathes your area in a pleasant glow. Along with being aesthetically pleasing, recessed lights are incredibly easy to clean and maintain. Finally, you will also find that recessed lights pair beautifully with other types of light fixtures, such as pendant lights or chandeliers. How Are LED Tubes Made? When you are considering investing in LED lighting for your home or office, you may be wondering about how these low energy light bulbs are made. In this video, you will take an in depth look at the process of making LED tube light bulbs. During the first steps of creating LED lighting, electrical components are attached to a metal bracket. The LED diodes are then connected to the electrical system. A company that offers LED lighting in San Jose can answer any questions that you may have about LED lights. 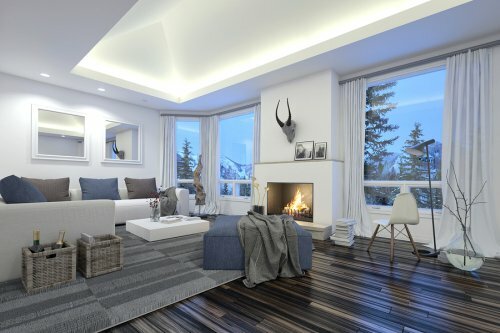 With services from a team of LED lighting specialists, you will be able to create a gorgeous and functional eco friendly lighting design for your property. Once you have made the switch to LED lights, you are sure to be amazed at the efficiency and performance of these bulbs.